JKD has become a way of life for me, my training partners have become friends and my instructor a role model and mentor. Many qualities draw people to JKD - often Bruce Lee’s fame or a desire to move away from traditional martial arts - but for me the appeal was the scientific principle driven approach coupled with the passion and wisdom of Sifu Lak Loi. JKD’s notouriety leads many martial arts schools to use the JKD name just to attract students only to focus exclusively on Wing Tsun or JKD concepts; what makes JKD London different is that we cover the full spectrum of Bruce Lee’s evolution of JKD culminating with the "LA Chinatown Era" coupled with Sifu Lak Loi’s deep understanding of the JKD Mindset and philosophical aspect of JKD. 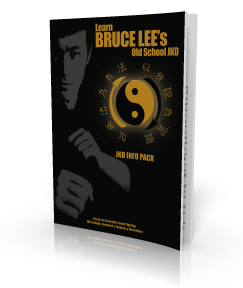 Without this latter component the art would die alongside Bruce Lee’s untimely death, but with it you can understand where Bruce Lee was taking JKD and crucially how to make the art your own. Since I started JKD, my life has dramatically changed both physically and mentally. I have been training at JKD London for the past 7 months with Sifu Lak Loi. I have seen huge changes in my progress losing almost an extra three stones since I joined JKD. My biggest achievement has been with my flexibility, I could only lift my leg below knee height when I started, but with Sifu's guidance and his stretching techniques I now can kick 2 feet above my head in only three months. I absolutely love JKD and I hope to continue this art for the rest of my life. I want to be the best that I can be and share my experience with others. I have been training under Lak since 2009. For me, JKD has evolved from a small side interest to a way of life - something I will keep and pass down to future generations. I have been on a journey from total beginner to competent technical fighter - understanding awareness, body mechanics and Bruce's no-frills approach to street fighting (interception). This is all brought together with philosophical anecdotes. To succeed in JKD you need discipline, an open mind and a willingness to better yourself. You also need a great teacher, like Sifu Lak. Lak's instructions are clear and reasoned, the training drills keep you focused and there is always something to take away after each evening session in London City. The group I train with is also a good bunch - everyone is keen to learn and the atmosphere is positive. Sadly, a couple of months ago I had to give up Jeet Kune Do as I decided to move abroad. I had been training under the tutelage of my JKD instructor Lak Loi (in London) and I trained in JKD for about a year and a half. Without meaning to cause any offense to other martial arts, I would like to mention that I learnt more practical self-defence techniques in one and a half years of JKD than I learnt in about six to seven years training in some other martial arts (namely Shotokan Karate). Under Lak’s tutelage I learnt techniques / principles such as ‘fighting distance,’ ‘slipping,’ ‘intercepting,’ ‘non-telegraphy,’ ‘economy of motion,’ ‘daily decrease’ as well as countless other concepts and techniques. Lak is a great teacher who is patient, experienced, highly knowledgeable, humble and very enthusiastic in what he teaches. I will sorely miss practicing JKD as there are no JKD classes available in my new place of residence. I have to do some military service over here (Finland) but once I am done, I hope to take up some form of martial art or self-defence class. I’m living in a relatively small town and all I can find is Kick boxing and Krav Maga. Both are great fighting styles but I think I will go for Krav Maga. I just hope that the instructor will allow me to implement some of the JKD concepts and engage in a bit of ‘self-expression’ in my fighting style. Nevertheless, I digress. I would just like to re-iterate once again that Lak is one of the best martial arts teachers that I have every had the privilege of training under and perhaps one day I will return to London to train in his classes once again. If this is not possible, then I will at least forever remember and indeed cherish the lessons taught to me during my JKD classes. I will always try to ‘appropriately’ apply what I have been taught not only to any future martial arts training but also to my life in general. Finally, I would like to thank and wish all the best to Lak, his class and the wider JKD community. (I suppose I shouldn’t forget a quick thanks to Bruce Lee as well! ).